I was going to order something simple; I enjoy their fish tacos. 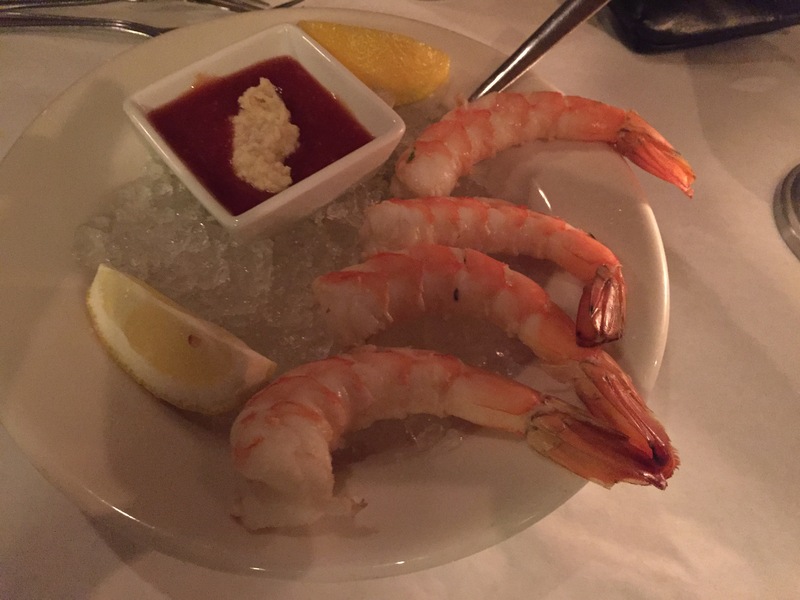 But as my eyes perused the menu, I saw the words crab legs and there was no going back. I wanted crab legs, I needed crab legs, but that isn’t an easy order for takeout. To truly enjoy it, we needed to get a seat! Thankfully I’ve got a fella who is flexible with plans; we hopped in the car and were on our way, grabbing a table just in time as the Friday dinner rush was beginning. 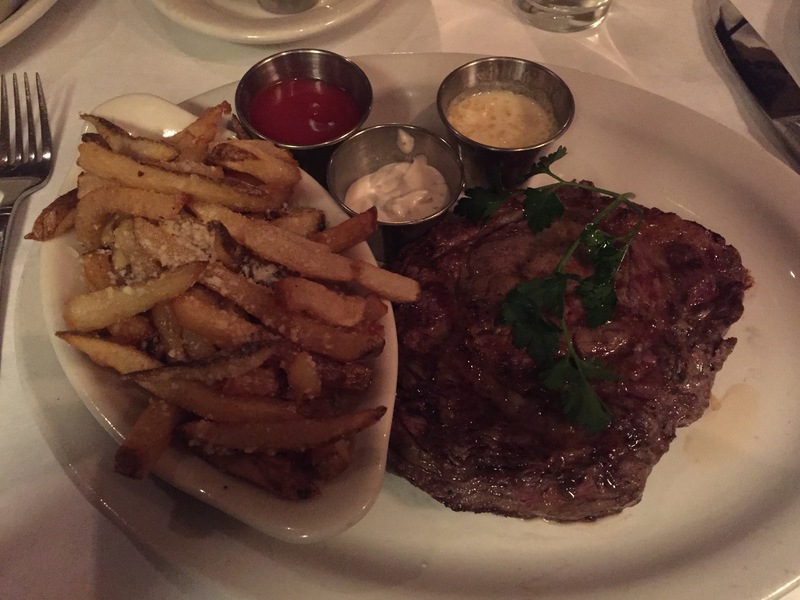 My dinner companion enjoyed the 14oz Delmonico Rib-Eye served with truffle fries. 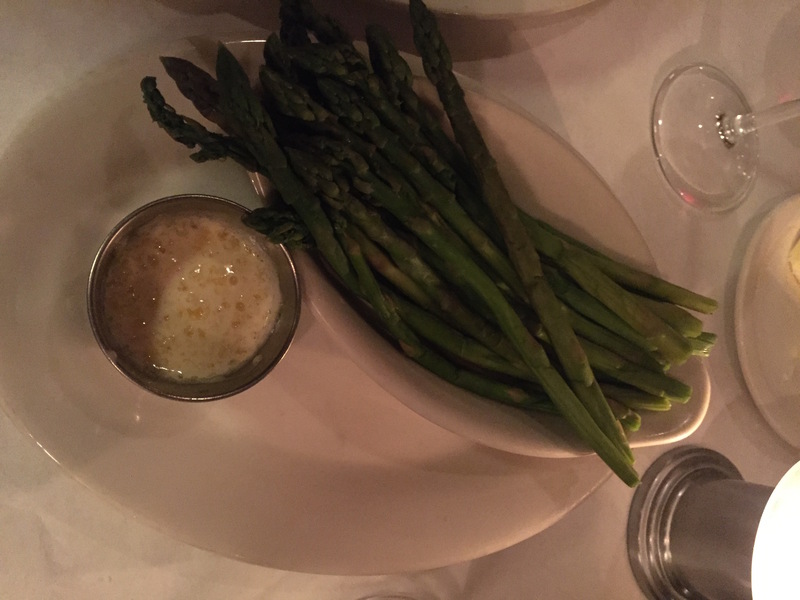 I may have eaten the greater portion of his truffle fries (dipped with abandon in the hollandaise there on his plate…yikes, my heart!). Truffle fries…in hollandaise…dreamy…dangerous! 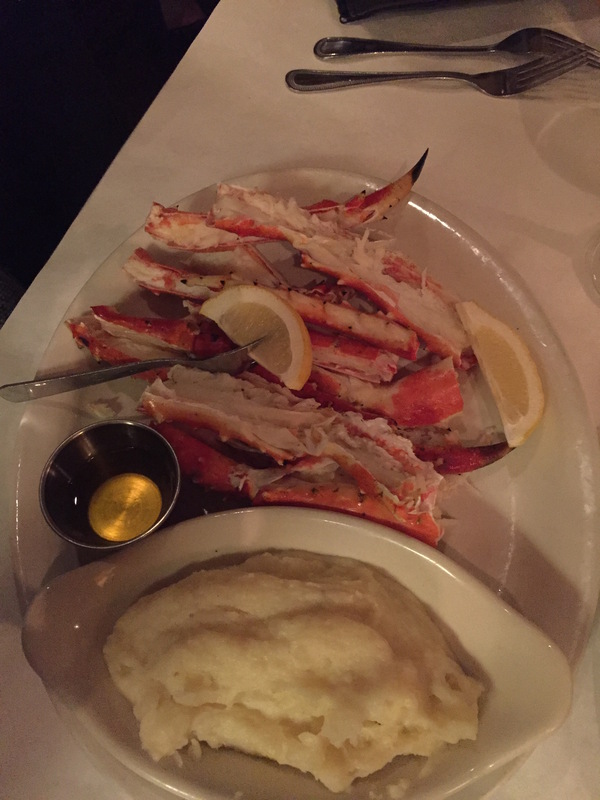 For my supper, I did a face-plant into a full plate of delectable Alaskan King Crab Legs served with drawn butter, lemon and garlic mashed potatoes. There are no words. After this meal fit for royalty, I should have committed myself to eating only a carrot for breakfast, lunch and dinner for the month to follow. However, at least in my world, good living is about good food and great fellowship! And hey, I know a little about moderation…I didn’t eat the leftover truffle fries for breakfast the next morning like I wanted to! 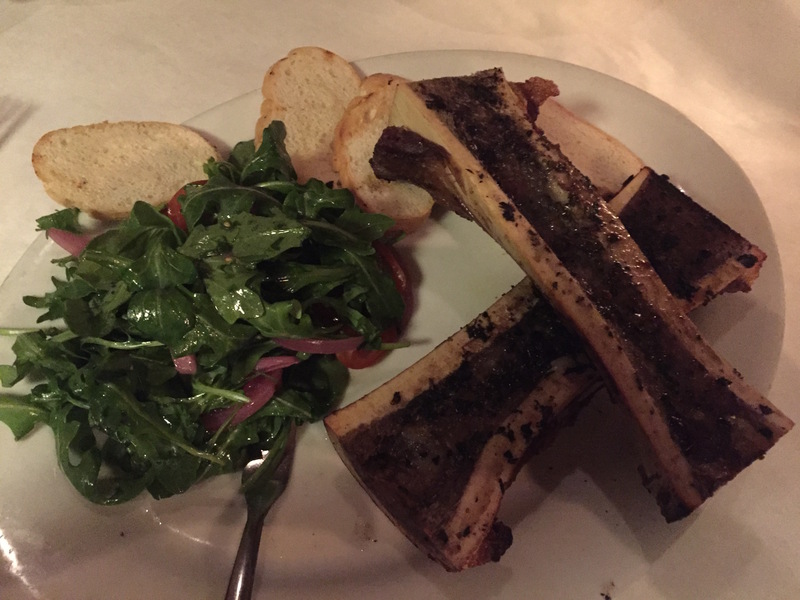 This entry was posted in Food, Fun & Friends and tagged Chicago's North Shore, Cooking, Crab Legs, Date Night, Evanston, Food, Fun, Funny, Hollandaise, Pete Miller's, Restaurant Review, Shrimp Cocktail, Steak. Bookmark the permalink. ← Don’t Eat That Ackee, Eve! Amen! They truly are the best!